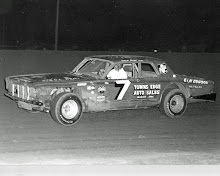 Vinton, Iowa (July 3, 1979) – Keith Knaack, auto racing promoter, official, driver and publisher, has brought a new type of auto racing to Iowa. While the crowds aren’t exactly rushing to the Benton County Fairgrounds in Vinton, Iowa, for his Saturday night programs, interest is growing. Knaack calls his new class of cars “International Motor Contest Association modifieds”. They have full-sized car frames but the bodies are from Pinto, Vega, Gremlin and Monza. And in the interest of conserving gasoline, Knaack requires all cars competing to use gasohol. He also makes available for the cars methanol alcohol, a non-petroleum based fuel popular with sprint car racers. He’s converting his modified to burn alcohol at a cost of $125 for a different carburetor. The engines don’t have to correspond either. 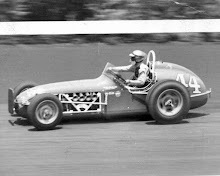 In his own car, Knaack has a V-6 Buick engine and plan to change to a Buick V-8. 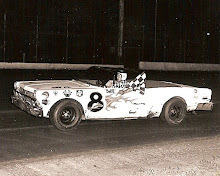 Long an advocate of inexpensive race cars, he is following the philosophy of Vinton. They’re so fast Knaack hopes to challenge and beat a sportsman car on the quarter-mile track at Vinton later the season. Knaack said seven modifieds are racing and eight are being built. He hopes to have 12 for Saturday night’s races. 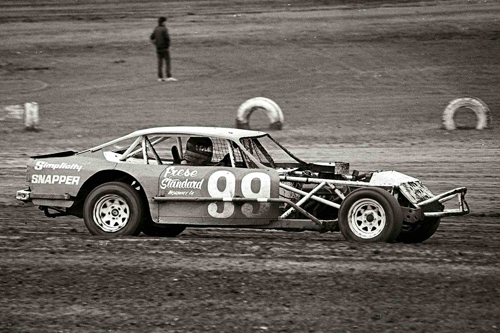 Why does he call it International Motor Contests Association modifieds? 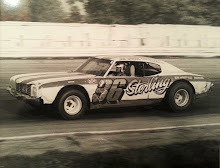 He is one of three owners of IMCA, which was a noted stock car and sprint car circuit until recent years. Knaack also has Roadrunner 200 and Roadrunner 400 racing. They are also low-cost race cars and are required to have only roll bars and safety belts. A driver must wear a helmet. The Roadrunner 200 cars can be claimed by anyone who wants to pay $200 for them. If somebody wants a “200”, the car owner has the option of selling it to the claimant for $200, moving up to the “400” class or not racing it again. The Roadrunner 400 can be claimed for $400. If the owner won’t sell, he also must retire it. 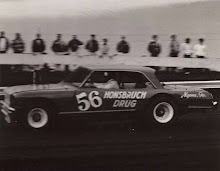 Knaack’s racing program also consists of spectator one-on-one racing and Hare ‘n Hound, a demolition-like race.